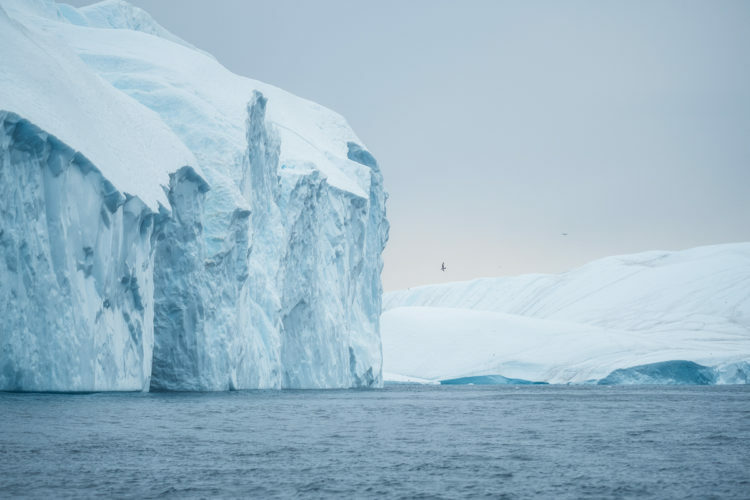 Photograph the massive icebergs from a privately chartered boat. 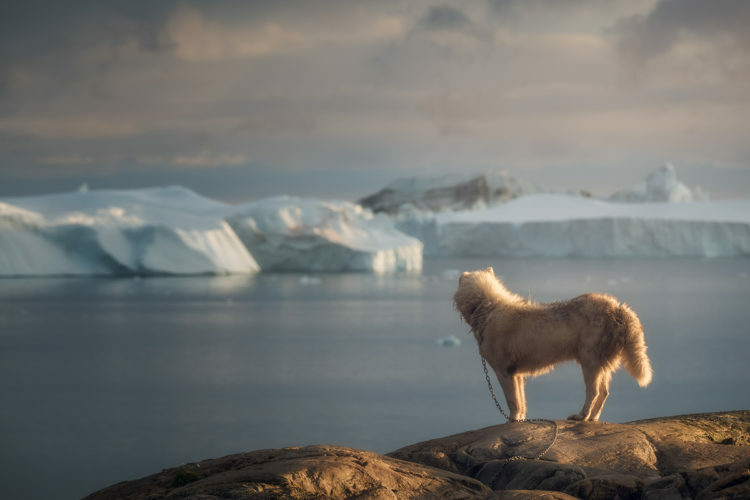 Explore the picturesque city of Ilulissat and its adorable huskies. Ilulissat is the largest town of the Avannaata municipality in western Greenland, located approximately 350 km north of the Arctic Circle. With the population of roughly 4500 it is the third largest city in Greenland. The city is home to almost as many sled dogs as people. The Ilulissat Icefjord is an UNESCO World Heritage Site and the most productive glacier in the Northern Hemisphere. The glacier flows at a rate of 20–35 m per day, resulting in around 20 billion tons of icebergs calved off and passing out of the fjord every year, meaning endless photographic opportunities as we explore the fjord. Our basecamp for the entire duration of the tour will be at Hotel Arctic, the world’s most northerly 4-star hotel located right on the edge of the Ilulissat Ice Fjord. One look outside your bedroom window and you will understand why this is viewed as one of the most unique places on earth. If we are blessed with starry nights and clear skies, we might be able to capture the elusive and strikingly beautiful Aurora Borealis as she dances on the night skies. The weather in Greenland is very unpredictable. Conditions and light changes constantly, so make sure to read the clothing and gear lists provided. Don’t hesitate to contact us should you be unsure what to bring. We want you to leave with the best possible pictures so both guides will there to help in case you are wandering about something. You will never be left alone. Price: $4700 based on double occupancy. Single rooms are available for an additional fee of $950. - Accommodation at the world’s northernmost 4-star hotel. Single rooms are available upon request for an additional fee of $950 per person. - Personal photographic tutoring by two professional landscape photographers. - Any travel services required prior to arrival at Ilulissat airport (JAV). - Lunch, dinner and any personal items including alcoholic beverages, snacks and souvenirs. What level of photography is required? This workshop is open to beginners, professionals and anyone in-between. The only criteria is that you have a great passion for photography, and have the energy and motivation to be ready to photograph every day and night. ​Will I see polar bears? No. The polar bear lives and breeds in the northernmost parts of West Greenland and in Northeast Greenland and it’s extremely rare for locals or tourists to see them. Ilulissat is too far south to see polar bears. ​Will I see and photograph the Northern lights? September is the beginning of the high season for Aurora and we will do our best to see them. It’s hard to predict both weather and aurora but we will pay close attention to radars and reports throughout the entire week to increase our chances of getting a glimpse of the lady in green. Can I do other activities outside of the workshop? Yes. None of the shoots are mandatory, so if you want to sleep in or do something outside of the group, we can assist you with booking activities such as exploring the Ilulissat Icefjord by helicopter. ​What kind of weather can I expect? 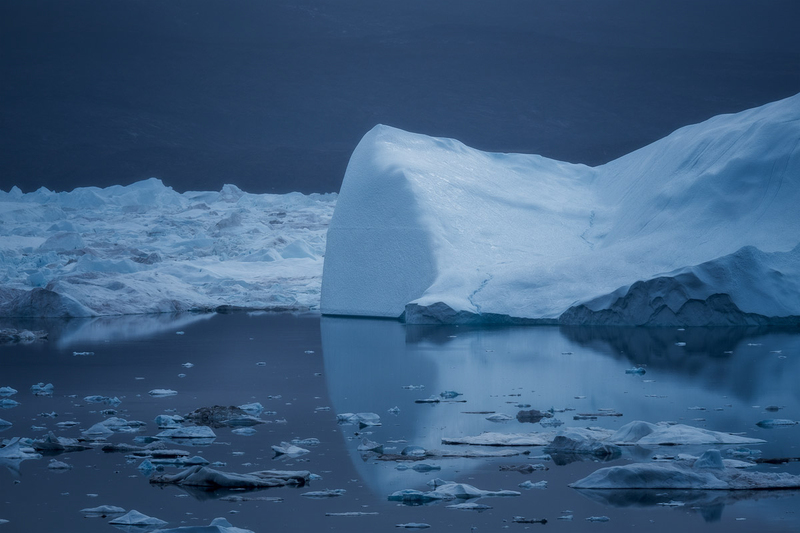 The weather and climate in Greenland is known to be extremely unpredictable. Conditions can change within minutes but this can also result in dramatic light and photographic opportunities. Temperatures average at around 5-6 degrees Celsius during our stay but you can expect temperatures both colder and warmer. ​What camera gear should I bring? Bring your own camera, lenses, tripod, spare batteries and a laptop. A detailed list of recommendations is provided. If you are considering upgrading or investing in new camera gear prior to the trip, feel free to ask us for advice. ​What is the itinerary going to be like? We have chartered private boat excursions for three sunset photography sessions. 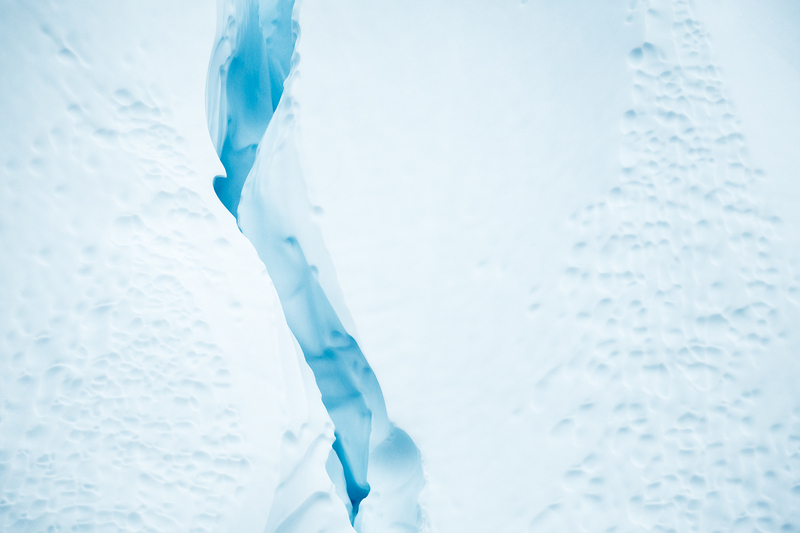 Each session will last for 4 hours, leaving us with plenty of time to explore the Ilulissat Icefjord and find the ideal compositions. Besides these 3 evenings we don’t operate with a fixed itinerary. That being said,we have a list of locations we will visit and we set aside time to do post-processing sessions. The two main options to travel to Ilulissat (JAV) is by flying with AirGreenland or AirIceland via Reykjavik or Copenhagen, the latter goes via Kangerlussuaq locally in Greenland. Deposits are non-refundable. Cancellations must be received via email. Should you need to cancel your place on the tour, we will only refund any amount over and above the deposit you have already paid.. If you cancel less than 55 days before the tour starts there will be no refund of fee or deposit. Should another participant be foundto fill the vacant place we will then, and only then, refund the deposit and/or balanceyou have paid. Final payment is due 60 days prior to the start of the tour unlessotherwise specified. Your registration is guaranteed only when we have a deposit payment. Registrations are allocated on a first come first served basis. If the workshopis cancelled by us you will receive a full refund of your booking fees. Tour itineraries may be subject to change due to weather, road conditions or any other other unforeseen circumstances. Travel insurance is MANDATORY and highly recommended for cover of unforeseen circumstances. Camera and equipment insurance is the responsibility of the individual photographer. A modest level of photographic experience would be advisable to get the most out of this tour. Familiarising yourself with your basic camera operations is also strongly advised. Please bring camera manuals in case the tutors need to make adjustments to your camera settings. All tours are conducted based on a minimum of participants booking. This may vary according to the tour you have chosen. If we cancel due to minimum numbers not being reached you will get a full refund of the tour cost only that you have previously paid. Other bookings you may make related to this tour are not our responsibility and so we recommend travel insurance to cover this. We will only run this trip if we reach the required minimum number of guests. We will be assisting you to take photographs and provide tuition throughout the tour if needed. In the event of a guide being unable to attend due to illness or other circumstances beyond our control we will endeavour to provide another guide of similar experience. 6. What else do you need to know? There maybe some moderately energetic walking involved to get to certain locations so please consider this related to your physical abilities. If you have any other medicalconditions that might affect your enjoyment of the workshop please let us know.Evening and early morning shoots will form part of the tour. You may choose to not participate in these but we recommend that you do take part. Early morning shoot times are entirely dependant on the sunrise times so schedules we set for departure will need to be adhered to strictly. It’s not fair to the group as a whole to have to wait for a late riser so we will leave exactly at the times we say. Like any trip away from home please bring personal medication requirements. We aim to provide every participant with a safe and enjoyable experience during the tour. As there is always an element of risk associated with the outdoors and travel in general we accept no responsibility/liability for injury, death, illness, losses or additional expenses associated with tour participation. By signing the booking form you are agreeing to all the listed terms and conditions. The information provided by participants will not be released to any other parties. The cost of the trip is $4700 based on double occupancy. A deposit of $600, or full payment plus any single supplements, is to be paid with the return of the booking form. If paying just the deposit amount with your trip registration, the remainder of the trip needs to be paid no later than 60 days prior to departure. Have you dreamt of photographing one of the most remote corners of the world? Do you want to capture beautiful images from a place few have been before? Then reserve your spot now and join us on this once in a lifetime photography adventure!